Stop child begging and free child homes in hyderabad list. 1 Divya Disha, 9-1-127/3 SD Road,Opp. St Mary Church, Secunderabad. 040-27714880, 9295800166,( Child line Toll free number 1098 or 04023233550), www.divyadisha.org or divya-disha.blogspot.com In collabartion with Railway police and Government providing rehabinations for missing / run away / street children with 1098. Their employees daily searching for kids who are in need to help them so that they will not go for begging. 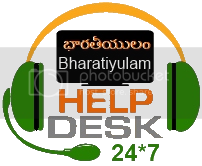 Every child details are recorded and providing free shelter, food at Uppal and Tirumalgiri hostels etc..
17 Keshava seva samithi Vatsalya Sindhu HNO 45/1 & 3, Upparguda, Moulali Hyderabad- 500040 , PH: 040-27241204,9701226830 sewabharathi@gmail.com, www.sevabharathi.org 30+ orphan boys are getting accommodation with education. Mano vikas Nager, Hasmathpet, Bowenpally, Secunderabad. Phone 040-27899994/95, 9399958151 Fax: +91-40-27899996. Street No. 8, Habsiguda, Ranga Reddy Dist.